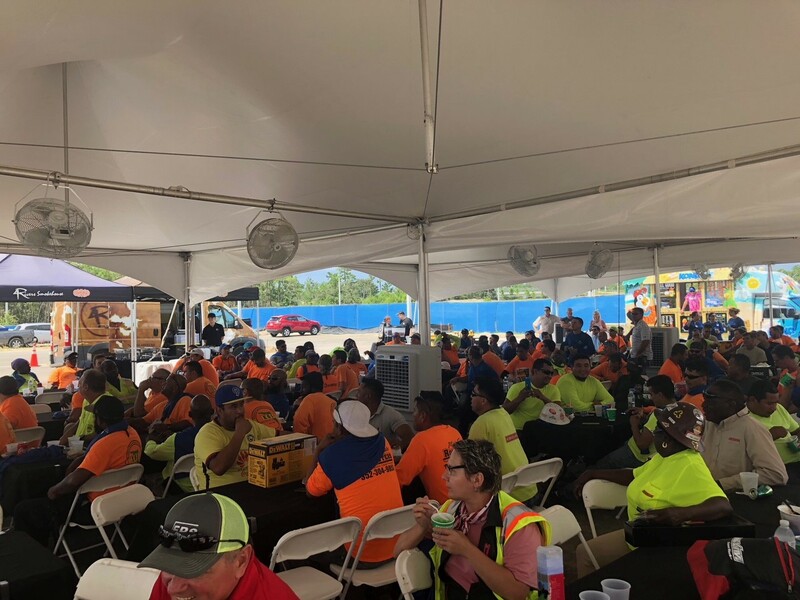 Halifax Health, Adams, Robins & Morton, HKS Architects and honored guests joined together celebrate the structural topping out of the Halifax Health Medical Center of Deltona hospital located in Deltona, Florida. The new 190,000-square-foot community hospital is an addition to the current freestanding emergency department. As expected, Robins & Morton is on schedule and within budget as we top out the Halifax Health Medical Center of Deltona project. Their expertise and knowledge of the healthcare building industry has shown through their excellent project leadership. The new 190,000-square-foot community hospital is an addition to the current freestanding emergency department. The hospital will initially include 42 inpatient beds, with the infrastructure installed to easily fit out another 48 beds as the community’s needs may require. The hospital will also include a surgery center, operating suites, and a comprehensive imaging center including MRI, CT, X-ray, mammogram and ultrasound. The hospital’s design will reflect a Lean approach to provide improved operational efficiencies. 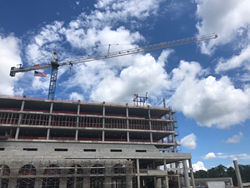 “As expected, Robins & Morton is on schedule and within budget as we top out the Halifax Health Medical Center of Deltona project. Their expertise and knowledge of the healthcare building industry has shown through their excellent project leadership,” said Jacob Nagib, Director of Engineering, Design and Construction, Halifax Health. The community hospital addition is scheduled to be completed in December 2019. Founded in 1946, Robins & Morton is a privately held construction firm that consistently ranks among the 100 largest U.S. contractors in Engineering News-Record Magazine. The company has also been named one of the best mid-sized companies to work for in America because of its worker-friendly and family-friendly practices. Robins & Morton is based in Birmingham, Alabama, with offices in Dallas, Texas; Huntsville, Alabama; Orlando and Miami Florida; Nashville, Tennessee; Charlotte, North Carolina. For more information, visit http://www.robinsmorton.com. Halifax Health, Adams, Robins & Morton, HKS Architects and honored guests joined together celebrate the structural topping out of the Halifax Health Medical Center of Deltona Hospital.Halifax Health, Adams, Robins & Morton, HKS Architects and honored guests joined together celebrate the structural topping out of the Halifax Health Medical Center of Deltona Hospital.